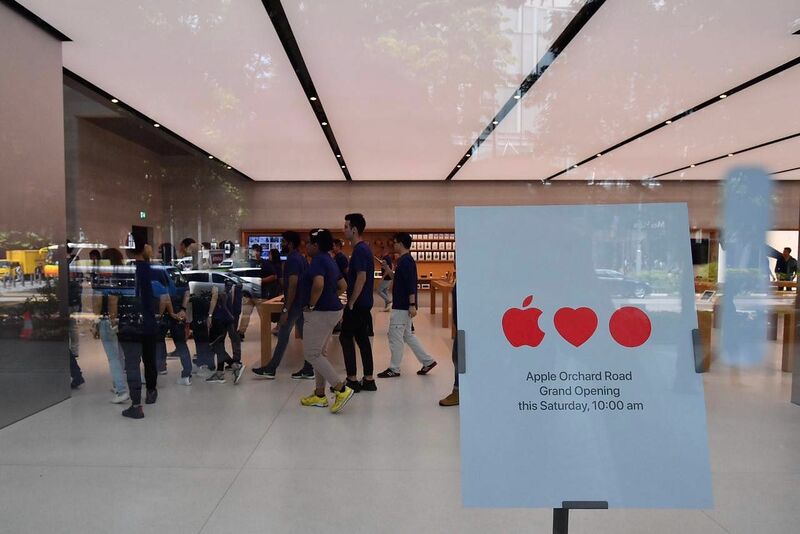 SINGAPORE - The Apple Orchard Road retail store has finally been unveiled. The white wallpapers with the "Apple loves little red dot" icons, which has adorned the store front for the past two weeks, were removed late last night (May 21) to reveal the store's interior. 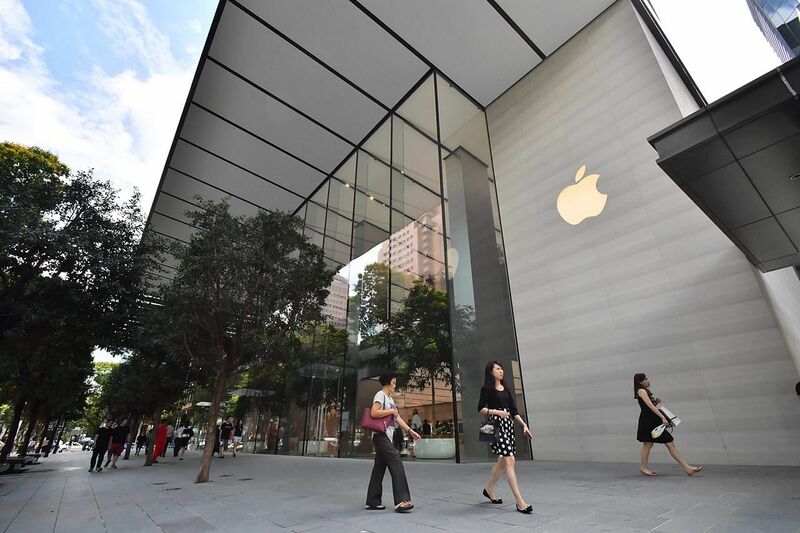 Apple Orchard Road - the official name of the Apple retail store here - will be opening its doors on May 27 at 10am. The store will open daily from 10am to 10pm. The design of Apple Orchard Road looks very much like any typical Apple retail store. From outside, it looks like there are two levels with the first level selling products like iPhones, iPad, MacBooks and other accessories. The second floor has an area where the "Today at Apple" free hands-on sessions taught by Singaporean creatives will be held. Unlike third-party Apple premium resellers (APRs) like Nubox and EpiCentre, Apple Orchard Road is managed by the Cupertino tech giant. It is not only the first Apple retail store in Singapore, but also the first one in South-east Asia. As of April, Apple has 495 retail stores in 20 countries.